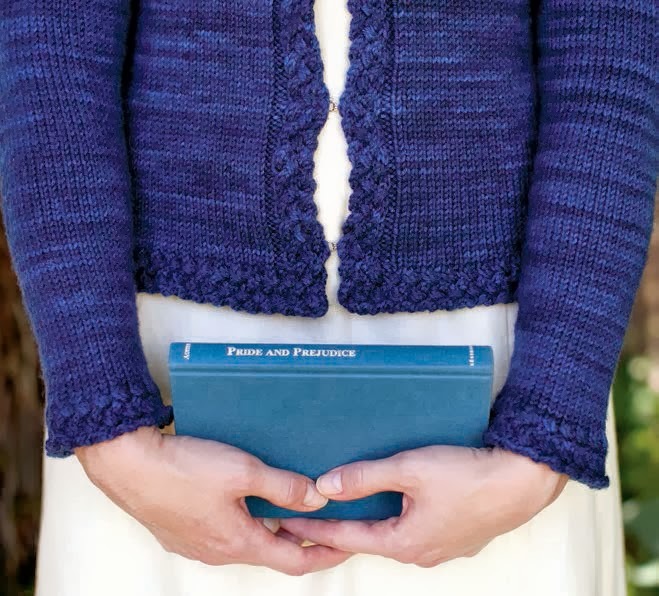 As I look ahead to the rest of the year, I see that it is time to self-publish my lovely Benwick Cardigan. But! I can't fit into the wee sample originally published in Jane Austen Knits, Fall 2013. What's a designer to do? Well, I could hire a model or buy a sample-sized dress form or knit one for myself. While I live uptown from ModelLand, at this point I prefer to model my designs, since they are very personal. Living in a New York City apartment, I'm not exactly keen on adding more stuff to the apartment. So, knitting one for me it is! The original pattern was worked in String Theory's DK yarn, which was lovely to work with, though possibly on the challenging side to photograph. String Theory's two dyers decided to go their separate ways last year, and one of the dyers remained "String Theory", while the other formed a new dye studio called Seven Sisters Arts. 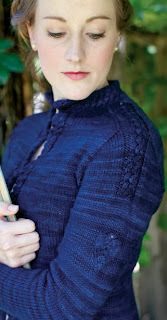 I plan to knit the new Benwick in SSA's Corona DK. So, who wants a Benwick of their very own? I'd love some company in a knitalong as I work up my own sample. The Jane Austen Knits version of the pattern is currently available from Interweave here*. It may take me a bit to get my yarn and begin (we've got some upcoming travel plans that are not conducive to having a pile of wool in my lap), so we have a few weeks to get ourselves sorted. 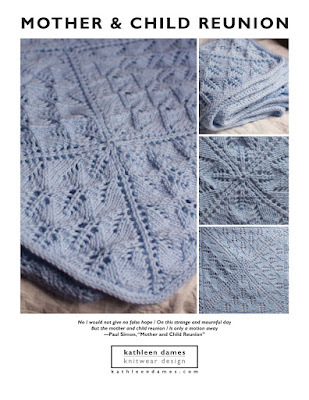 Let me know in the comments below, via email at kathleendames at gmail dot com, or on Ravelry, if you'd care to join me. *That is an affiliate link for Interweave, from which I will earn a micropayment if you purchase the pattern through that link. I only provide affiliate links to items of mine that you cannot get through my Ravelry store. You can easily bypass the link by typing "Benwick pattern" into your favorite search engine.